Hello! Welcome to our Allen Park general dentistry blog. Today’s message from Szalai & Szalai DDS concerns fluoride and Allen Park children’s dental health. We’re Drs. Greg & Joanne Szalai and we have been practicing dentistry in Allen Park since 1987. When we examine a new Allen Park patient for the first time, we can usually tell whether the person drank fluoride-adjusted municipal water while growing up. Generally, their teeth are healthier than Allen Park people who had lower fluoride levels in their tap water. Ideally, adequate fluoride intake combined with proper oral hygiene, good nutrition, and regular visits to the dentist keep teeth healthy and free of decay. 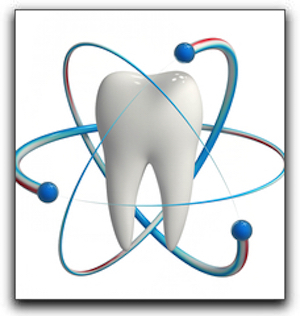 However, fluoride also helps teeth remineralize if acids have already compromised the enamel. For decay prevention and teeth strengthening, adequate fluoride is indispensable. If you have children and your Allen Park municipal water supply does not have the recommended level of fluoride, you may want to consider giving your kids a fluoride supplement. The fluoride will strengthen the primary teeth that have already erupted and also the adult teeth that are forming. At Szalai & Szalai DDS, we provide exceptional dental care for all members of the family including general and cosmetic dentistry. We serve Allen Park and the surrounding areas. Ask us about teeth whitening, veneers, crowns, and clear braces. If you are interested in the health of your teeth, call Szalai & Szalai DDS at 313-928-2323 to schedule a comprehensive dental evaluation.